The Kilkenny supporters club Dublin branch held their dinner dance on Friday night at Kilmacud Crokes GAA Club. A large crowd was in attendance on the night to meet friends from all parts of the capital. The club are constantly reaching out to Kilkenny people based in Dublin and would love for new people to join up and to support their activities. 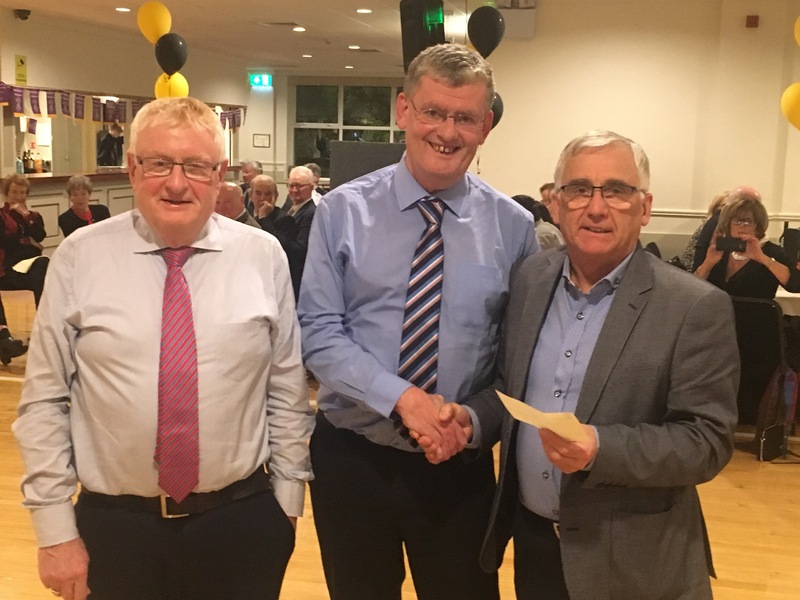 During the evening the Dublin branch represented by Eddie Nolan (Chairman) and Seamus O’Neill (Treasurer) presented a cheque to Barry Hickey, Kilkenny Treasurer to contribute to costs incurred by the trip to Australia recently.